While a lot of papers have argued for the educational potential of serious games, the field is still young and methods and tools are needed in order to support effective and efficient design. The SG Studies Database is an instrument devised to allow sharing structured information about SGs. 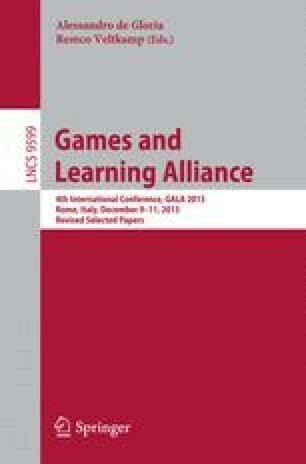 This information can be used by scholars and practitioners also to perform comparative analysis and identify components and modules that could be used in different games. The SG Studies database, which is freely available online on the site of the Serious Games Society, relies on a SG description model, that has been defined in order to allow a structured description of SGs, considering the perspectives of different stakeholders and contexts of use, and spurring the identification of SG components and their relationship with pedagogical theories and expected outcomes. The SG Studies database has already been used as a tool to support identification of reusable patterns and components in SGs, in order to identify best practices and favor module re-use. Other meta studies are possible in the future on the database by any parties.